Welcome to the end of camp/start of school/fun in the sun/pennant-racing/total eclipse-watching dog days of summer. As all of us try to squeeze the final long, lazy days out of August, we at EMS once again check in with a review of all things presentation related. Enjoy this month’s issue of Speaker’s Digest! CH Robinson. We continued our ongoing executive coaching work with this global leader in third party logistics, and also conducted two follow-up training sessions with a VP of Global Sales to help him prepare to speak as an expert panelist for an upcoming industry event. American Association of Nurse Anesthetists. For the seventh year, we provided a one-day training for AANA’s incoming board members/regional directors, each of whom will spend the coming year representing the organization at state association meetings, at colleges with nurse anesthetist programs and at industry events promoting the important work of their organization and the benefits of membership. Baxter Credit Union. EMS led a follow-up Executive Speech Coaching session with two of BCU’s executives preparing to deliver an important presentation to their Board of Directors. Spraying Systems Co. At the end of August, we’ll conduct a two-day training seminar for Spraying Systems Co. in Glendale Heights, a global leader in spray nozzles and related technology. We’ll work with a group of their sales engineers and internal team members to help them communicate the company’s array of solutions more effectively. Upcoming Open Program. Would you like to participate in a two-day training workshop with our team of coaches? We will hold an open program on September 18-19 at our training center in Northbrook, Illinois. You’ll get to learn some of the tricks of the trade, but also get to put our lessons into practice by preparing and delivering your own unique presentation. Over two days, you’ll get plenty of chances to work with peers and individually with a coach. Cost is $2000/person; please let us know if you’d like to join us! 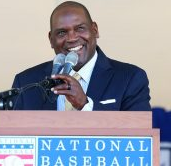 All-time great base stealer Tim Raines gave a nice speech in honor of his induction into baseball’s Hall of Fame last month. Raines, who played five years with the White Sox, smiled, told great stories, and made solid connections with his audiences. Be sure to read what he had to say to fellow HOF-er and former teammate Frank Thomas, the Big Hurt. ON BROADWAY, EVERY PERFORMANCE COUNTS! 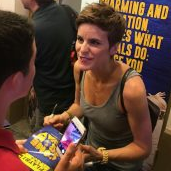 How do you keep up the enthusiasm when you have to give the same presentation over and over? For inspiration, let’s take a look at performers on the Broadway stage. Eliot and his family spent a week in the Big Apple taking in some of the hottest shows on Broadway, and report back with some lessons and some motivation. One of the big stories in the aftermath of the violent protests in Charlottesville, Virginia was the series of mixed messages that kept coming out of the White House. But we heard strong messages as well. We wanted to make sure you saw what a strong message looks like. 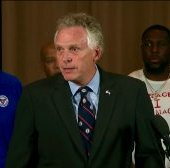 It came from Virginia Governor Terry McAuliffe, who was joined by Charlottesville Mayor Michael Signor, City Manager Maurice Jones, and Police Chief Al Thomas shortly after the streets of their city were cleared. Watch a replay of the press conference by clicking here.